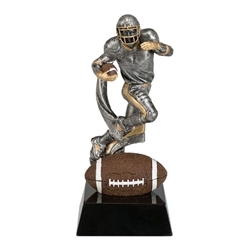 7" Football Motion Extreme Trophies. Made from resin. This Football Award simulates real motion and action.